(CNS): A brand new karting facility is set to open in the New Year, giving residents and tourists the real thrill and excitement of go-kart racing at a professional track in Cayman. 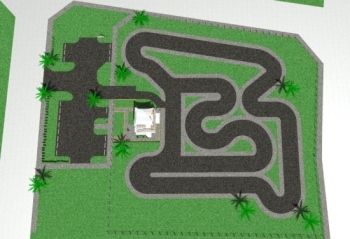 Cayman Karting will be located on a two acre site off Sparkys Drive just outside central George Town, and will offer top of the line karts, which are being imported from Europe, and an asphalt track that will feature over 1000 feet of challenging chicanes, hairpins and straights. The facility will also have a second floor viewing deck with snack bar giving friends and family the perfect viewing point to watch the racing. The outdoor track is intended not only to be a popular tourist attraction, but also a facility for the whole community, a release from Cayman Karting says. It will be suitable for all the family and will offer a new activity for children as well as an early opportunity to develop their driving skills in a safe and controlled environment. The facility will alsobe the perfect corporate event venue for those who want to go wheel to wheel with their colleagues or clients. Construction actually covers part of the old Lakeview dirt track site used in pre-Ivan times and the Cayman Motorsports Association will be involved in organising regular race meetings and leagues. Extensive consultation with experts has taken place to ensure that the circuit can both pose a technical challenge for the experts and be fun for novices enjoying their first karting experience. “I believe the track will be very positive for the island: it will add something materially different to Cayman’s tourist offering, create employment and offer residents a fun and adrenaline-charged leisure activity,” said Alasdair Foster, Director of Cayman Karting Ltd. 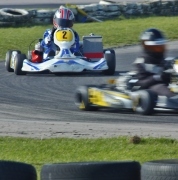 He has always enjoyed karting and is excited by the enthusiasm with which the project has been greeted by everybody. Those who want to be the first to race will be able to follow the progress at www.caymankarting.com. 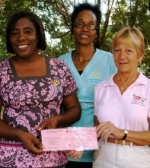 (CNS): A cheque $10,000 was recently presented to Hospice Care representatives, Gloria Reid and Angela Moulton, by members of the Pink Ladies Volunteer Corps executive. 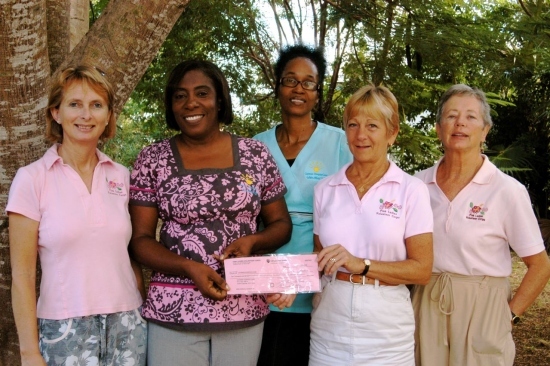 Funds are raised by the Pink Ladies through the Pink Hibiscus Coffee Shop at George Town Hospital and the Annual Christmas Bazaar and Tea, and all monies raised are donated back into the community. Pink Ladies Director Dorothy Miller said, “We were very pleased to be in a position to donate funds to Hospice Care and we appreciate the community supporting us in our fundraising efforts so that we can provide funding to a variety of local projects." Miller continued, "This year’s Christmas Bazaar and Tea raised close to CI$20,000, and in addition, I am grateful to the staff and volunteers at the Coffee Shop which is the major source of Pink Ladies fundraising efforts”. New volunteers are always welcome to join Pink Ladies in a variety of activities including the Pink Hibiscus Coffee Shop, the Lighthouse School, NCVO, The Pines and the weekly Craft Group. Further information on volunteer opportunities is available from Jane Moon janemoon@candw.ky or 916 1504. The sailing conditions were challenging as the two-day event was held in the tail-end of a Nor’wester that was affecting the whole region. On the first day sailors had to contend with the winds between 15 and 20 knots and some significant chop. However, this didn’t prevent a big turnout of 17 racers over two divisions (13 Standard rig, and 4 Radial). The second day saw the conditions easy a little much to the relief of the competitors, who were exhausted from the first day. The Laser is a single-person performance dinghy which is hugely popular around the world and a staple fleet at the Olympics. The Laser fleet at the Cayman Islands Sailing Club has been growing steadily since hurricane Ivan and this year there was sufficient depth to hold the Championships in both the Standard and Radial divisions. The Radial configuration, featuring a smaller sail, is generally more suited to lighter sailors, but comes into its own in high winds, as it is less susceptible to being over-powered. Out-going CISC Dinghy rep, Jon Faris was particularly excited by being able to support the new division and said, "Cayman has really terrific sailing conditions most of the year, but you have to be in the right boat to enjoy them. I’m glad the Radial rig is coming into its own. It will get sailors out on the water, even on those windier days." Olympian, Mark Clarke kept the heat on Mr Taylor, putting his size and experience to good effect in the strong winds, and took second place in the Standard Division, as well as the coveted Clydesdale trophy sponsored by Compass Marine. Meanwhile only one point separated Mark Clarke and Charlie Grover, an active club sailor and consistent performer in all conditions, who took the third position. The remaining spots were each a battleunto themselves, and no one had an easy ride, especially given the challenging conditions. Race Officer, Peta Adams noted that, "there has been a noticeable improvement of the fleet on the whole, mostly due to the frequency of informal racing going on at the club these days. The mid-fleet finishes were remarkably tight." In the Radial Class, youth sailor Chris Delaney proved to be a real force, impressing and surprising everyone with a great display of skill, smarts, and strength. National Sailing Centre Head Coach Mike Weber was out on the water to catch the action and commented that, "Chris has developed so rapidly in the Laser, it’s fantastic. He’ll be racing internationally after Christmas and with performances like this I expect good results for him even in the larger, tougher regattas." Olympian Tomeaka McTaggart gave Delaney a run for his money and took second place, and also appreciated the competition and growth of the Radial division, which is her boat of choice, saying "Chris did a great job. I was giving at least 100% out there, so I have no regrets. There should be some good races ahead!" Ken Holland, a relative new-comer to Laser sailing and very recent adopter of the Radial rig brought in third place, clearly pleased with his performance and the rig. With the sponsorship of Bacardi for a second year in a row, and the Doghouse, the Bacardi Laser National Championships has developed into a premiere event at the CISC, with hopes for further growth in the future. The CISC continues to develop its Laser racing calendar to promote the skills of its member sailors. After a well-earned restful December, the Laser fleet will be looking forward to the much-loved race fixture, The East End Regatta, 23rd-24th January 2010. 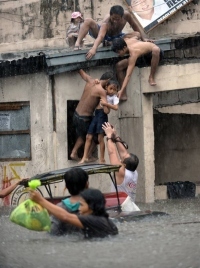 (CNS): A call in the Cayman Islands to aid people in the Philippines struggling to recover from the devastating impact of tropical storm Ketsana three months ago raised CI$34,369. The cylone hit the region on Saturday 26 September, dumping 16 inches of rain in 12 hours. Fundraising for the Red Cross Philippines Disaster Relief Fund was a community-wide effort that included an October radio-thon, along with corporate donations and fundraising activities from various schools to benefit the more than half-million people left homeless by Typhoon Ketsana and subsequent disasters in the region. Many Cayman workers are from the Philippines and their families lost everything. On Saturday, 10 October, every radio station in Grand Cayman held live remotes encouraging people to stop by and give. Donationlocations included all Foster’s Food Fair stores, Hurley’s Supermarket, Kirk Home Centre, Kirk’s Supermarket, and the Tortuga Rum Company in Industrial Park. The island-wide radio-thon was organized by local Cayman businesses to support the Red Cross relief efforts. Companies involved include Cayman Islands Red Cross, CITN, Digicel, dms Broadcasting (HOT 104, CAYROCK, KISS, and X-107), Foster’s Food Fair, Hurley’s Entertainment (Rooster and Z-99), Kirk Home Centre, Kirk Supermarket, Paramount Media (VIBE and SPIN), and the Tortuga Rum Company. Donations through text messaging by Digicel customers, corporate contributions and the various school initiatives added to the final total. (CNS): A gas station on Crewe Road was robbed last night, Monday 14 December, by an armed thief who stole an undisclosed amount of cash. According to the RCIPS, about 9.50pm last night a female cashier was working within the Meadac Texaco service centre in Crewe Road, George Town, when a man entered the store, presented what appeared to be a handgun and demanded cash. The suspect made off with sum of money and was last seen heading towards the rear of the service station. He is described as being: About 5’7” in height and of medium build. He had a dark complexion and was wearing a long black t-shirt over dark blue jeans and a black peaked cap. The suspect also had what appeared to be a white t-shirt covering his face. DC Bowen of George Town CID is appealing for anyone who may have been in the area at the relevant time and witnessed the robbery, or the suspect leaving the scene, to call George Town CID on 949-4222 or contact Crime Stoppers on 800-8477 (TIPS). (CNS): A 39-year-old man was taken to George Town Hospital with head injuries early this morning after his car collided with a stationary dump truck in the East End area shortly after midnight. Police say that around 00.50am today, Tuesday 15 December, a Chevrolet Silverado motor vehicle collided with the truck on Sea View Road, East End. The driver of the Silverado, who sustained head injuries as a result of the crash, was taken to George Town Hospital, where is said to be in a critical but stable condition. Investigations into the collision are ongoing and Inspector Adrian Barnett, head of the RCIPS Traffic department, is appealing for anyone who may have been in the area at the time and witnessed the incident to contact Traffic officers on 946-6254. (Guardian): There is a growing movement in both the US and around the world for taxing financial speculaiton. The logic is simple: even a very small tax on trades in stocks, options, credit default swaps and other derivative instruments can raise an enormous amount of revenue. Even assuming large reductions in trading volume due to the tax, the country could still raise more than $100bn a year in revenue or more than $1tn over the US’s 10-year budget horizon. Trading costs have plummeted over the last three decades due to improvements in computer technology. Therefore, modest taxes on financial speculation, such as a 0.25 per cent tax on the purchase or sale of a share of stock, would only raise trading costs back to the level of the 1970s or 1980s. (CNS): The next stop on the world tour for the Cayman Islands premier is Bangalore in India. McKeeva Bush is leading a delegation this week, which includes Health Minister Mark Scotland and local businessman, Gene Thompson, in order to attend the opening of world famous cardiac surgeon Dr Devi Shetty’s new healthcare facility there. The move indicates that the plans by the Narayana Hrudayalaya Group to open a medical facility in the Cayman Islands are still being supported by the CIG, despite the fact that the project will be a private sector initiative. A local spokesperson for the group said the fact that the premier was making the trip showed great promise for the initiative. Legge noted that it would not be long before more details of how the proposed facility will take shape, including the size and scale of the hospital and where it is likely to be located. The plans for the $1 billion development of this healthcare facility were first announced last month, and although details have yet to be confirmed, Dr Shetty has said he is hoping to create a 2,000 bed hospital in the Cayman Islands. The project is being described as one of the largest single developments ever in Cayman funded by the private sector. The health minister has said there is no public sector involvement but that government is supporting Dr Shetty’s plans. In an interview with the WSJ, Dr Shetty says the hospital in the Cayman Islands will primarily serve Americans in search of lower-cost medical care. The plan, he says, is to build and run a 2,000-bed general hospital where procedures, both elective and necessary, will be priced at least 50% lower than what they cost in the US, which Dr Shetty hopes will draw Americans who are either uninsured or need surgery that their plans don’t cover. With his revolutionary low cost health system, Dr Shetty’s facility will offer services to Caymanians as well. “This is an incredibly exciting project and an extremely positive development for the islands in many ways,” Legge said. The construction of the hospital when it starts would obviously provide a considerable number of new jobs on the island, and once the project is up and running, not only will it offer affordable healthcare to locals, it is expected to attract thousands of visitors. Dr Shetty, who was Mother Teresa’s personal heart physician, says he wants to make Cayman a centre of excellence in healthcare. At his flagship 1,000-bed Narayana Hrudayalaya Hospital, surgeons operate at a capacity virtually unheard of in the US, where the average hospital has 160 beds, according to the American Hospital Association. Narayana’s 42 cardiac surgeons performed 3,174 cardiac bypass surgeries in 2008, more than double the 1,367 the Cleveland Clinic, a US leader, did in the same year. His surgeons operated on 2,777 paediatric patients, more than double the 1,026 surgeries performed at Children’s Hospital Boston. 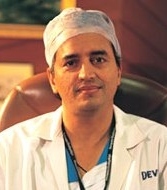 Dr Shetty’s success rates are also impressive. The Narayana Hrudayalaya reported a 1.4% mortality rate within 30 days of coronary artery bypass graft surgery, one of the most common procedures, compared with an average of 1.9% in the US in 2008, according to the Society of Thoracic Surgeons. 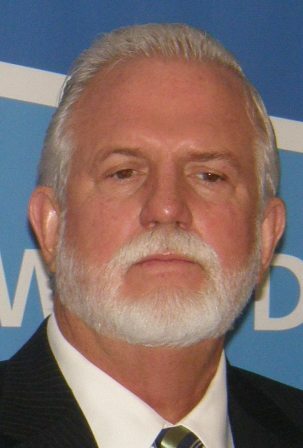 (CNS): The tension was palpable in Court One in the Cayman Islands Grand Court on Monday morning when friends and family of Sabrina Schirn packed the public gallery in anticipation of the arrival of Lance Myles to give evidence during the trial of Randy Martin for the murder of 21-year-old Schirn. However, although Myles, who is serving a 20-year sentence in Northward, was brought to the court house, he did not appear in the witness box after it was decided he would require legal advice. Following discussions with both defence and crown counsel, the judge ordered that legal representation must be found for Myles to warn him of the legal issues relating to self-incrimination. The defence has argued that statements taken by the police from Lance Myles (the nephew of Randy Martin) and his girlfriend during the investigation, but not put forward by the crown in its case, should be admitted in evidence as the team is suggesting that Myles, not Martin, is responsible for the slaying of Schirn in East End in March this year. David Evans QC and Adam King, junior counsel, maintain that Myles had both the opportunity and motive to kill Schirn and the lawyers would like to present what they say is evidence of that to court. Having won their argument to have Myles testimony admitted, it was left to the judge to then call both Myles and his girlfriend to the court to enable the defence counsel to cross examine the two on the statements taken during the enquiry. However, it became apparent that, given the line of questioning that the defenceintended to take, both witnesses would require what is known as amicus curiae, or a ‘friend of the court’, which is essentially a defence attorney who acts as an advisor to the court on issues of law but who is not part of the specific case. In these circumstances the legal advisors will advise the witnesses on their rights with regards to not answering questions should an answer offer the potential for self-incrimination. As a result of the decision, local defence barristers John Furness and Keith Collins were called to assist the court and assigned to the relevant witnesses. Given the circumstances and the unusual nature of the situation, Justice Charles Quin, the judge hearing the case against Martin without a jury, said he would allow the two amici curiae more time to advise their clients on the situation they faced before calling the witnesses before the court. As a result, Justice Quin adjourned the case until 10:00 am Tuesday when Myles is now expected to take the stand, having been advised of the fact that he will be challenged on the content of his statements given to the police during the murder enquiry, which the defence maintains, on the basis of telephone cell site information, are untruthful, as well as the threats he made, both on the voicemail and in person, to Schirn shortly before her murder. Despite the unusual turn of events and the questions now raised by the defence’s position, the crown is maintaining that Randy Martin, who has pleaded not guilty, murdered Sabrina Schirn. The crown has not suggested in its case that there were any other assailants that could also have committed the murder alongside Martin or aided him in the crime. The charge against Martin before the court is for one count of murder with no lesser charges proffered as alternatives. (CNS): Local contractors are being given the opportunity to bid for work on the re-launch of the government’s low cost housing initiative, which is expected to get underway again early next year. The minister with responsibility for housing is inviting licensed small contractors to an open house meeting this week to discuss pre-qualification requirements for the first phase of the National Housing Development Trust’s (NHDT) Affordable Housing Project. The open house will take place in the Mary Miller Memorial Hall located on the Lighthouse School property, Red Bay, at 3:00 pm on Thursday, 17 December. Mike Adam will host the open house in conjunction with the NHDT to share information with contractors who wish to bid for work in this project. Government says that the project is scheduled to start in early 2010 and the programme will include construction of affordable housing in West Bay and East End initially, with later plans for developments in George Town and Bodden Town. “I accordingly urge all licensed small contractors who are interested in bidding on this project to attend this important meeting,” Adam said. He explained that the open house will enable licensed small contractors to go through a pre-qualification process, following which they will be placed on an approved list. However, Adam pointed out that even if a contractor pre-qualifies, in keeping with government tendering procedures he will still be required to go through a publicly advertised tendering process. Any contractor who is seeking to pre-qualify must have at least a reputable history in general and housing construction, as well as a valid trade and business licence. At the meeting, the NHDT will also discuss with prospective contractors any additional existing conditions for pre-qualification. Information packages will also be distributed.